A group of designers were prompted with the question "How can you make it easier to be a superhero in New York? " and directed to create a UX prototype within 3 hours. In my old neighborhood in Williamsburg a fire hydrant was spouting out water for the better part of a day before someone alerted the city. Emergency services often note that citizens will call them for major things like a fire or burglary, but seemingly minor things like a downed wire go unreported. My partner Paula and I decided to create a Waze like app prototype for navigating the streets of New York called Maverick. Our app turns every New Yorker into a hero who can report sidewalk construction, a crowded subway stop or a hazard. 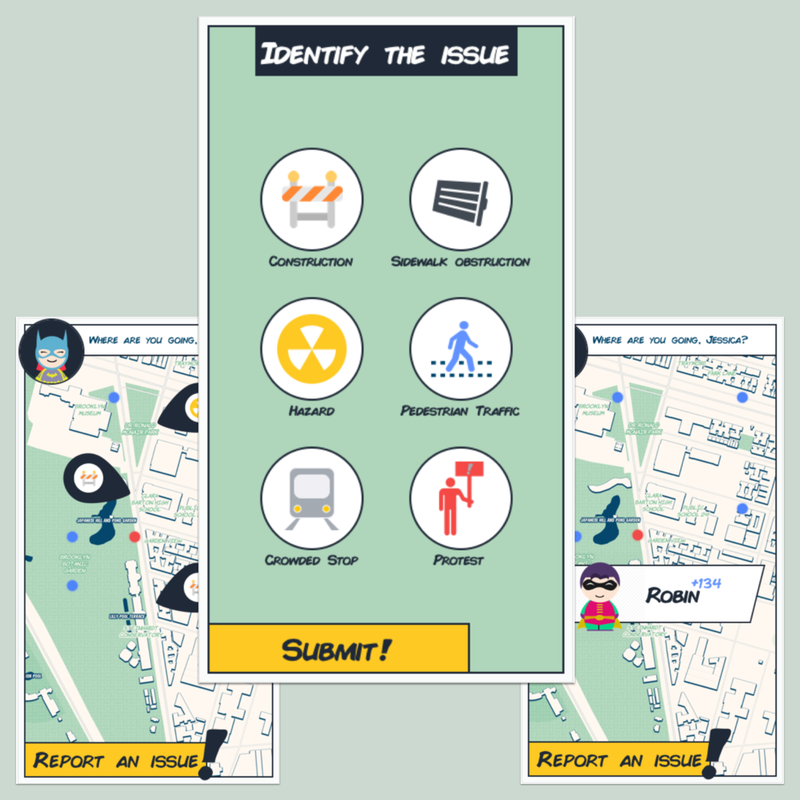 The app allows you to see when other superheroes are nearby and grants you power up points when you report things. 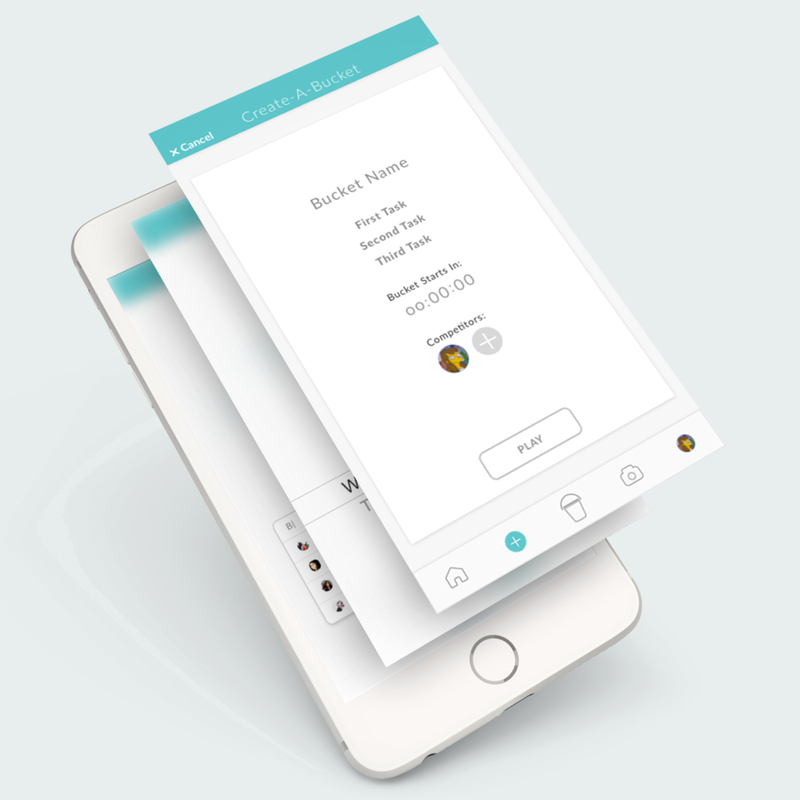 Our app design earned the 1st place award. Inspired by the hero theme, we designed our app to have a classic comic book feel. Our prototype is of a recurring user, Jessica, using the app to get walking directions. We also feature her reporting an issue and checking out other heroes in the area. We decided to have the user land on a map with pins that indicate areas of construction, hazards, etc. They can utilize the map feature to give them the most direct route to their walking destination, interact with other users nearby, or report an issue. If they choose to report an issue they are first instructed to place a pin at the area. They are then given a menu of options of what to report. Once they report an issue they are awarded points, emphasizing the social, hero oriented aspect of the app.